The Ysleta Independent School District has announced the appointment of new principals at four elementary schools, effective July 1. 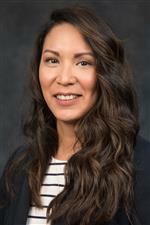 Veronica Frias, former assistant principal at Pasodale Elementary School, has been selected as the principal of Lancaster Elementary School. Frias has been an educator for 19 years in YISD, beginning as a fifth-grade teacher at South Loop Elementary School. She received her Bachelors of Science in Psychology in 1996 and her Masters of Education in 2010, both from the University of Texas at El Paso. 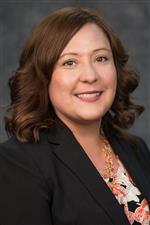 Former Edgemere Elementary School assistant principal Claudia Poblano has been selected as the principal of Del Norte Elementary School. In her tenth year in YISD, Poblano began her professional career in as a pre-k collaborative teacher at Scotsdale Elementary School before serving as an assistant principal at Vista Hills Elementary School. As a student, Poblano graduated from the Riverside High School Socratic Institute before earning her Bachelors of Interdisciplinary Studies in 2006 from the University of Texas at El Paso and her Masters of Education in 2009 from Grand Canyon University. Natalie Alvarez, former assistant principal at Parkland Elementary School, has been named as the principal of Marian Manor Elementary School. Alvarez, in her 11th year in YISD, began her professional career in 2006 as a fourth grade bilingual teacher at Vista Hills Elementary School. 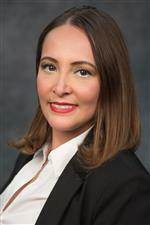 Alvarez received her Bachelors of Interdisciplinary Studies in 2006 and her Masters of Education in 2011, both from the University of Texas at El Paso. Former assistant principal at Constance Hulbert Elementary School James McIntyre has been promoted to principal of the school. He has been an educator for 13 years in YISD, beginning as fifth grade dual language teacher at Mesa Vista Elementary School before serving as an assistant principal at Ysleta Elementary School and Valley View Middle School. 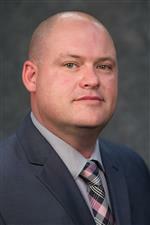 McIntyre received his Bachelors of Interdisciplinary Studies in 2004 and his Masters of Education in 2006, both from the University of Texas at El Paso.